The Vice Chancellor of the University of Gezira Prof. Mohamed El-Sanousi Mohammed said that the University gives a great importance to the issues of environment, weather and global warming. 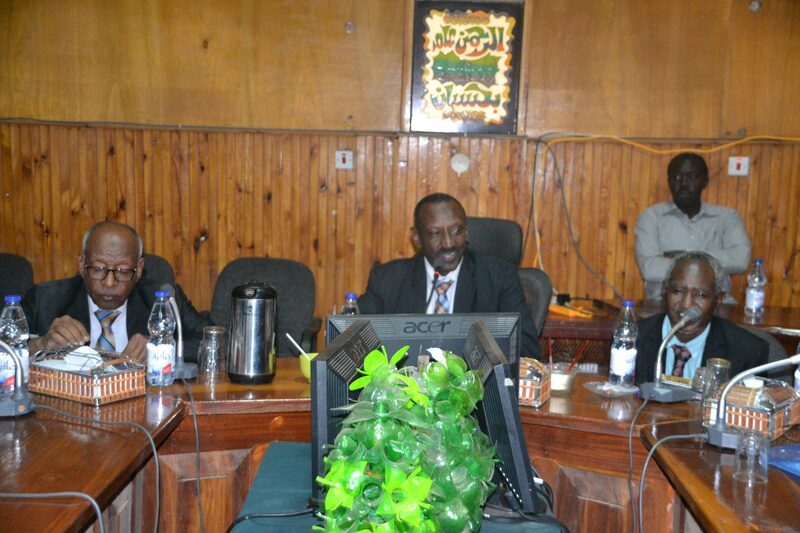 El-Sanousi referred during his meeting with the delegation of the Sudanese National Geographical Society and El-Hattan Institute to support the Ministry of Higher Education and Scientific Research for scientific research, Pointing to its geographical importance and the weather in many aspects of life and human activities. Deputy Vice Chancellor of the University Dr. Mohammed Babiker El-Awad, said that the topics discussed in the meeting are how the University of Gezira and the Sudanese National Geographical Society will participate in the Sixth Arab Geographers Conference which will be scheduled next March in Sudan, and the participation in the meeting of the Sudanese palm society and the scientific journal of the Institute El-Hattan and these axes will be considered according to the scientific foundations of the University of the Gezira. The Principle of the University Dr. Abdullah Sulaiman thanked the delegation for choosing University of Gezira for partnership in the implementation of these scientific programs, stressing that the University has the honor to invest in the field of conferences and scientific events. 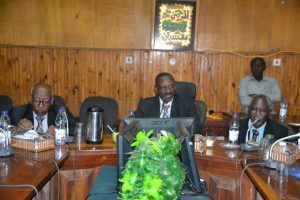 The Chairman of the Sudanese National Geographical Society, Dr. Ibrahim Ahmed Al-Baloula, said that the participation of the society in a number of scientific conferences and it has a relations with a number of Arab and European countries and he pointed out that their choice to the University of Gezira to be a partner in the conference came as a result for what the University enjoys a good reputation and a rich scientific balance and scientists in all fields, especially these which related to geography. It should be noted that the Society chose Dr. Naima Mohammed Abdullah El-Turabi – Professor at University of Gezira as a deputy chairman.